Mike Hart, who has died at the age of 84, founded the Edinburgh Jazz Festival – Scotland’s first such event – and, in so doing, consolidated the city’s status as an epicentre of classic, traditional and mainstream jazz. The jazz festival he created may have evolved and mutated over the four decades since it began, but it has kept Hart’s kind of jazz at its core. An only child born in Inverness, Hart moved to Edinburgh when his father (a former engineer) set up an antiques business later run by his mother. After a brief, unhappy spell in boarding school in England, Hart was educated at Edinburgh’s Royal High School, a breeding ground for trad jazz musicians in the late 1940s when that genre of jazz was enjoying huge popularity. The teenage Hart took up drums and by 1949, was playing in a local band, Gavin’s Gloryland Jazz Band, led by trumpeter Jimmy Gavin. So began Hart’s association with Brown, and the trumpeter Al Fairweather and the pianist Stan Greig who also played in the band. With them, Hart went to London in 1952 where their gigs include the Big Jazz Show at the Royal Albert Hall. After completing his National Service in the RAF, Hart returned to Edinburgh in 1954 and played banjo in trumpeter Charlie McNair’s band. Before long, he had established his own outfit, Mike Hart’s Blue Blowers, and in 1956 he co-founded what would become one of Edinburgh’s longest-running bands, the Climax Jazz Band which featured Jim Petrie on cornet and which would take Hart into the recording studio for the first time. The late 1950s saw the birth of two more popular bands which he co-led, Old Bailey and his Jazz Advocates and the Society Syncopators. By this time, he had re-formed and re-launched the Society Syncopators as Mike Hart’s Society Syncopators – and it was this band which Hart took on foreign tours on many occasions, notably to the Dunkirk Jazz Festival, where it was named European Amateur Jazz Champions 1979, and to California’s Sacramento Jazz Jubilee which it visited ten times. Hart brought together a number of local bands plus a couple of well-respected soloists from England and staged a mini festival in a ballroom in the capital in 1978.Its success inspired him to seek sponsorship for the first Edinburgh Jazz Festival which took place in 1979, and featured a variety of semi-professional bands from here and abroad. Into the mix, Mike Hart added younger players who were part of the mainstream revival. All these musicians would stay for several days, if not a whole festival, at a time and would be mixed and matched in different line-ups, often featuring Scottish talent in the rhythm sections. Many of today’s leading Scottish players – among them pianist Brian Kellock and bassist Roy Percy – cut their teeth at the EIJF, invariably alongside big name Americans. Always a figure who cut a dash and who had something of the old-fashioned adventurer and bon viveur about him, Hart threw himself into other passions beyond jazz. He was an accomplished deep sea fisher (a photo of him and the 180lb Blue Fin Tuna which he caught during a trip to Madeira with author and deep sea fisherman Trevor Housby is featured in Housby’s best-selling book). He also enjoyed sailing and racing his wooden keelboat, then he got hooked on flying, learning to fly a single engine Cessna aircraft and gaining his private pilot’s licence in 1985. That passion gave way to driving and owning a Triking wheeler sports car and attending events for enthusiasts. Jazz remained the constant while other interests came and went. * Michael Warner Hart, founder and original director of the Edinburgh Jazz Festival, jazz musician; born Inverness March 23, 1934; died Edinburgh December 11, 2018. Old Bailey & the Jazz Advocates, 1965, at the Manhattan Club. Thanks to Hamish McGregor (clarinet) for the photo. The Edinburgh Jazz & Blues Festival swung into action on Friday, with a special concert as its showpiece event. It’s 40 years since an embryonic version of the festival first took place and, on Friday, it revisited its old gala format with a sort of jazz variety show bringing together Scottish jazz stars who have notched up appearances in every full decade of its life. Pianist Brian Kellock’s relationship with the jazz festival dates back to even before his official debut there, in the 1980s. On Friday, reunited with drummer John Rae, his trio was in high spirits – though it was the languid Ballad For Very Tired and Very Sad Lotus Eaters that stood out. Tenor saxophonist Tommy Smith, who also cut his jazz teeth in the festival’s first decade, joined Kellock for a trio of tunes – notably a gorgeous Without a Song and a Sweet Georgia Brown that sent sparks flying – which highlighted their rapport and showed how attuned to each other’s musical thought processes they are. It was disappointing that Martin Taylor, one of the leading jazz guitarists in the world, got a little lost in the mix kicking off a second half which was to be dominated, time-wise, by a gypsy jazz group which only came on the scene a few years ago. Taylor’s meander through Henry Mancini’s bittersweet ballad Two For the Road was a mini-masterclass in the art of solo guitar. It would have been even more of a treat to hear him play with singer Carol Kidd (pictured above, with pianist Paul Harrison) but she had done her bit, bringing the house down at the end of the first half with two stunning ballads – by Billy Joel and Richard Rodgers – which served as appetite-whetters for her concert next Saturday. Nobody got more of the spotlight, however, than singer/violinist Seonaid Aitken, who was in her element hosting the show on the jazz festival’s behalf, duetting with its stars and leading her band, Rose Room, through the longest set of the night. Joe Temperley, who has died at the age of 88, was a giant of the baritone saxophone and the first Scottish jazz musician to make it on the New York scene. 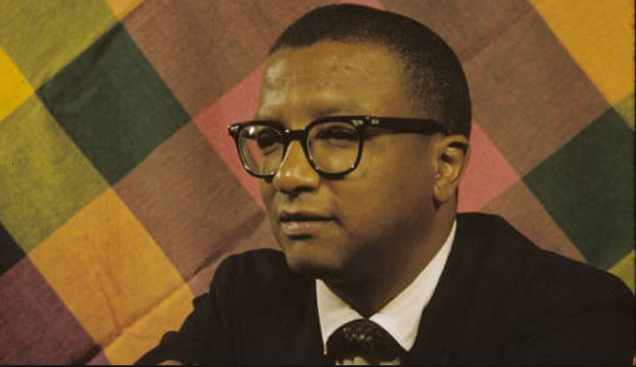 In a career which spanned seven decades, he worked his way through the best British dance and jazz bands before moving to New York and doing the same there, serving in no less prestigious an organisation than the Duke Ellington Orchestra and, later, its closest modern-day equivalent – Wynton Marsalis’s Jazz at Lincoln Center Orchestra. In addition to his long association with that band, Temperley was also an educator who taught at Juilliard and the Manhattan School of Music, and was a guest mentor for the Fife Youth Jazz Orchestra during his regular visits back to Scotland where he kept up with his extended family and the jazz community here. In the hours after his death was announced on Wednesday afternoon, Facebook was flooded with heartfelt messages from students who had benefitted from Temperley’s teaching. Until old age and ill health took their toll, Temperley was a big, physically imposing figure who seemed physically to embody the history which he represented; a history that spanned the dance band era, the big bands, bebop – and was peppered with musical and social encounters with such icons as Billie Holiday and Ella Fitzgerald, in whose final concert he played. The cumbersome baritone saxophone was an appropriate instrument for a towering figure such as Temperley – but it wasn’t cumbersome in his hands. 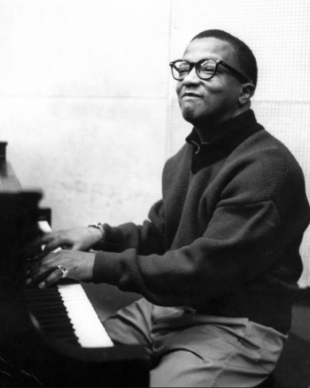 Famously, he could coax the most tender and romantic sounds out of it (fellow saxophonist and jazz educator Tommy Smith yesterday compared the Temperley sound to “sweet velvet”) – as exemplified in recent years on his chosen Scottish encore, an unaccompanied performance of My Love is Like a Red, Red Rose in which the melody was caressed in such a gentle and exquisite way that you knew he was singing the words in his head. It stopped the show every time. The son of a bus driver, Joseph Temperley was born in the mining town of Lochgelly, in Fife, in 1927. The second youngest of five children, he left school at the age of 14 when his mother secured him a job in a butcher’s shop. By this time, he was already playing cornet alongside his elder brother, Bob, in the Cowdenbeath Brass Band – and it was Bob who bought the youngster his first saxophone, an alto, so he could join his dance band. As Temperley liked to tell it later, he had six months of lessons and then ended his musical education because, by that point, he could play better than the teacher. “All the stuff that I learned, I learned by doing,” he said. When the Debonairs took part in a dance band competition organised by Melody Maker, Temperley’s talent was spotted and he was invited to play with the winning band. At the age of 17, he left Lochgelly for the bright lights of Glasgow where he played at the Piccadilly Club on Sauchiehall Street for 18 months. Temperley’s first taste of New York, the epicentre of jazz, was with Lyttelton’s band in August 1959. “I arrived wearing a Harris tweed jacket. It was so hot, I’d sit in the bath all day and only go out at night!’ After returning from three weeks in jazz heaven, Temperley was desperate to get back – and in December 1965 he did so, permanently. A change of direction came in October 1974 when the pastor of the Lutheran Church on 54th Street, the church which serves New York’s jazz community, asked Temperley to play at the funeral of Harry Carney, the great baritone saxophonist who had played in Duke Ellington’s band for 45 years. 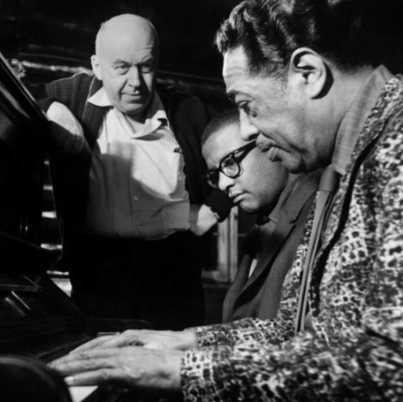 “I played Sophisticated Lady at Harry’s funeral – and that’s how I got the job replacing him in the Ellington band,” recalled Temperley as he introduced that number at the 2010 jazz festival. Temperley spent ten years in the Ellington band – by now run by Mercer Ellington – before becoming one of the original members of the Jazz at Lincoln Center Orchestra in 1990; a gig which he described as being “like a real job with health benefits, dental benefits, a pension”. Until relatively recently, he was still touring the world with the orchestra. Latterly, he claimed that the only thing that troubled him about the sax was carrying it. Despite his obvious frailty, he turned in a series of terrific and surprisingly robust performances, switching between the baritone and the bass clarinet during a mini tour with Brian Kellock which turned out to be his final visit to Scotland in March 2015. * Joe Temperley, jazz saxophonist and educator, born September 20 1927; died May 11 2016. Text and photos (c) Alison Kerr, 2016.